HANGZHOU, China — The United States and Russia struggled Monday to keep alive negotiations to end the bloodshed between U.S.-backed rebels and Syria's Russian-aligned regime. 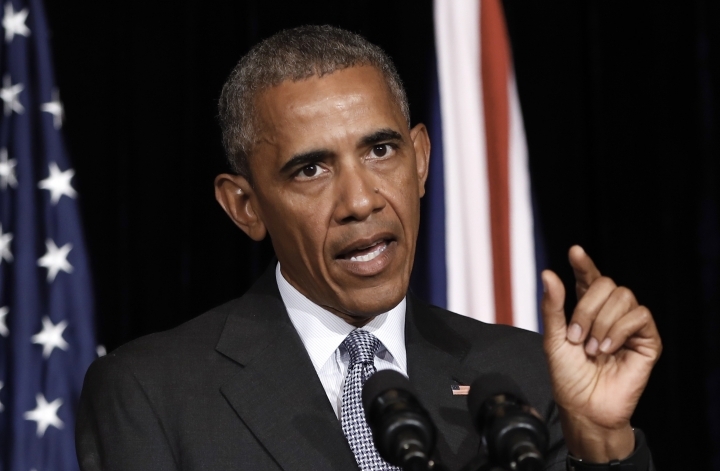 Even as top diplomats vowed to keep trying, President Barack Obama expressed skepticism that an unlikely alliance between rivals would yield the breakthrough needed to end the 5-year-old civil war. 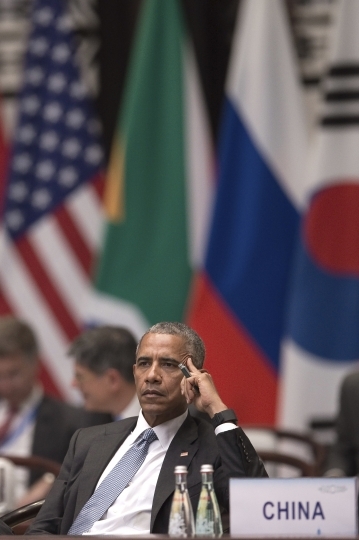 Still, as Obama and Russian President Vladimir Putin attended an economic summit, the leaders were under pressure to push the negotiations beyond the sticking points that have thus far prevented a deal. White House spokesman Ned Price said Obama and Putin were huddling on the sidelines of the Group of 20 economic summit, with details of their informal meeting expected to be released later Monday. A second day of talks in China between Secretary of State John Kerry and his Russian counterpart, Sergey Lavrov, ended Monday without a deal to announce. The two diplomats met for an hour but emerged still at odds on certain issues, said a senior State Department official, who wasn't authorized to discuss the talks by name and requested anonymity. The talks culminated a several weeks of searching for a cease-fire between Syrian President Bashar Assad's government and moderate rebels that would expand access for hundreds of thousands of civilians caught in the crossfire. The strategy has hinged on an unlikely U.S.-Russian militarily partnership against extremist groups operating in Syria. But beyond the Islamic State group and al-Qaida, the two powers have conflicting views about who fits in that category - as well as a deep and mutual distrust that the other party will hold up its end of the bargain. "We're not there yet," Obama told reporters Sunday. "It's premature for us to say that there is a clear path forward, but there is the possibility at least for us to make some progress on that front." 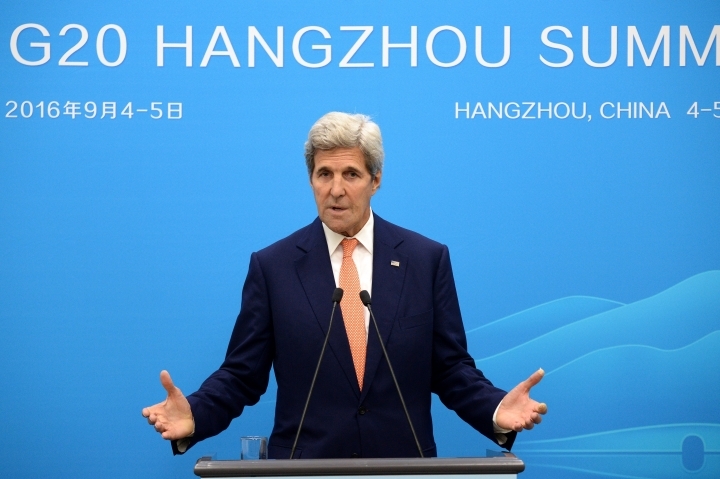 Obama's wariness was less apparent among his State Department negotiators, who had been so hopeful a deal could come together while world leaders gathered in China that they scheduled a press conference and announced plans to brief reporters on the pact. Those plans deflated throughout the day, as both the briefing and the press conference were canceled. After an aide scrambled to remove the podium once intended for his bargaining partner, Kerry eventually announced there was no deal - standing alone. "I've said all along we're not going to rush," said Kerry, who has negotiated several failed truces with Russia in recent months. Kerry said the two sides had worked through many technical issues but said the U.S. didn't want to enter into an illegitimate agreement. In recent days, the State Department has said it only wants a nationwide cease-fire between Assad's military and the rebels, and not another "cessation of hostilities" that is time-limited and only stops fighting in some cities and regions. The talks faltered Sunday when Russia pulled back from agreement on issues the U.S. negotiators believed had been settled, the State Department official said. As the diplomats were negotiating, Syrian pro-government forces backed by airstrikes launched an offensive in the northern city of Aleppo, capturing areas they lost last month and besieging rebel-held neighborhoods. It was a major blow to insurgent groups that was likely to raise fresh concerns about Russian support for the Syrian military's attacks on Assad's opponents. The Syria conflict has killed as many as a half-million people since 2011 and caused millions of Syrians to flee their homes, contributing to a global migration crisis. Amid the chaos, IS has emerged as a global terror threat. Kerry and Lavrov's talks represent their third significant attempt since July to finalize a new U.S.-Russian military partnership that Moscow has long sought. The package would include provisions so aid can reach besieged areas of Syria and measures to prevent Assad's government from bombing areas where U.S.-backed rebels are operating. U.S. officials have said that as part of a deal, Russia would have to halt offensives by Assad's government, something it has failed to do over months of diplomatic efforts. And the U.S. must get rebels to break ranks with the al-Qaida-linked Nusra Front, a task that grew tougher after its fighters last month successfully broke the siege of Aleppo, Syria's largest city and the site of fierce recent fighting. Negotiators on both sides have spent weeks poring over maps of potential areas where opposition groups operate and where Assad's forces would be prohibited from launching airstrikes. The idea is for Russia to use its significant influence over Assad to ensure compliance with the deal. But the U.S. has long been skeptical of the military coordination part of the deal, because it says Russia has mainly targeted moderate, U.S.-backed opposition groups in a bid to prop up Assad. 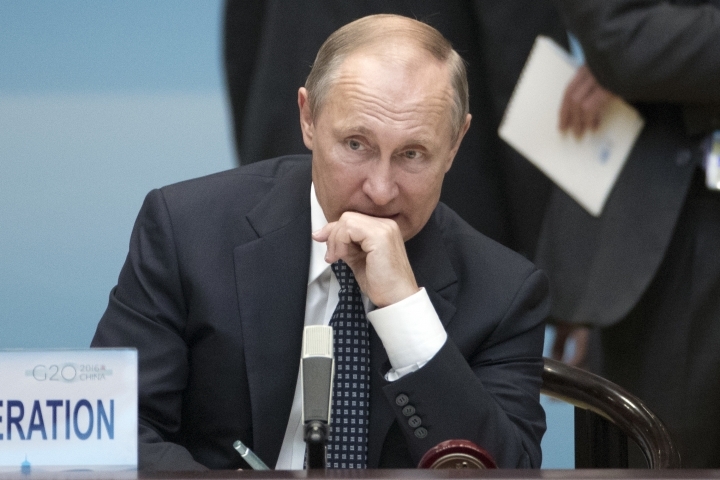 The U.S. wants Russia to focus exclusively on IS and al-Qaida-linked groups. Both Defense Secretary Ash Carter and National Intelligence Director James Clapper have expressed misgivings about sharing intelligence and targeting information with Moscow. Neither side explained Sunday in detail what sticking points remain. 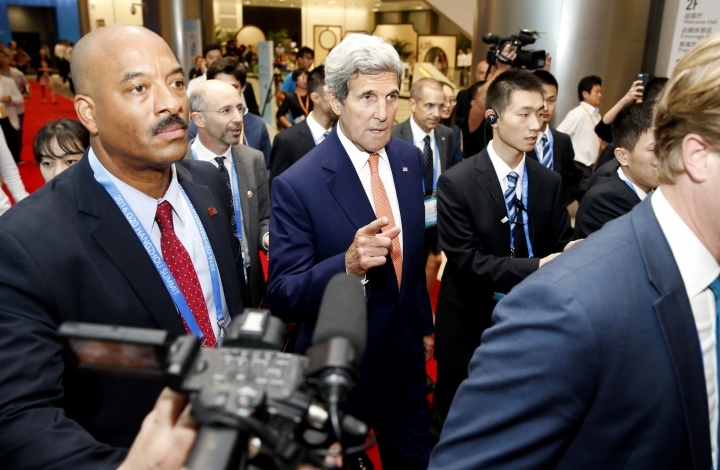 Kerry said the U.S. wanted a deal with the best chance for survival. Lavrov's deputy, Sergei Ryabkov, said a deal was "close" but that Washington had to dissociate itself from Nusra. "Many of the groups considered acceptable by the U.S. have actually affiliated with the Nusra Front, while the Nusra Front is using them to avoid being attacked," Ryabkov told Russian media, citing a longstanding complaint of his government. Associated Press writers Bradley Klapper in Washington and Jim Heintz in Moscow contributed to this report.